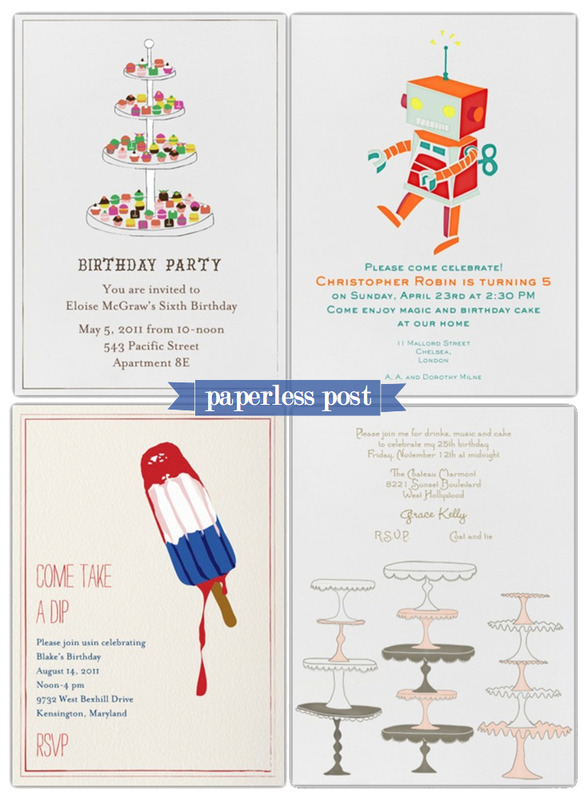 I recently used Paperless Post for an upcoming party we’re hosting. It was so much better than Evite. You pay a nominal fee but to be able to send stylish, fun and well designed paperless invitations seems so worth it to me. They have wonderful options, complete with coordinating envelopes and envelope liners. Receiving an invite from Paperless Post feels so much more like receiving actual mail. It would be a great option for a green wedding. xoxo!